XOXO Jes - Canadian Entertainment News: Alec Baldwin for Mayor? 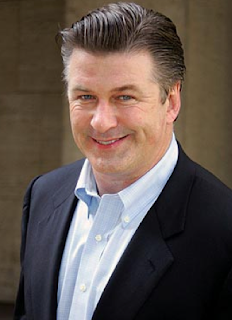 Alec Baldwin may be running to be the mayor of New York City in 2013. Well that is until the tapes of him leaving super mean voice mail messages for his daughter resurface. So I am thinking this is a Trump 2.0. All talk no actual nomination. I do like Baldwin's hair much much more than Trump...so he has that going for him. I don't know how the people of New York will feel about doing something that they did in California.